They’re in! 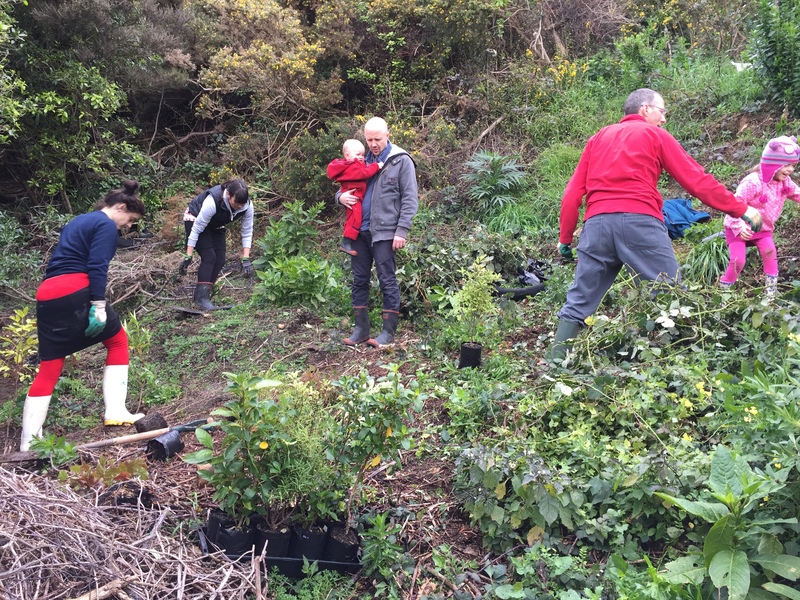 Every single one of the 500 trees supplied by the Wellington City Council are now happily ensconced in their new home, the Buckley Road Reserve. Thanks to all that gave a helping hand. We had some good weather and a great mix of new and familiar faces, young and old, Maranui scones and coffee! For all the years we’ve been at it we’re now really starting to see the bush and birds return to the valley better than ever. . Its very very satisfying…. 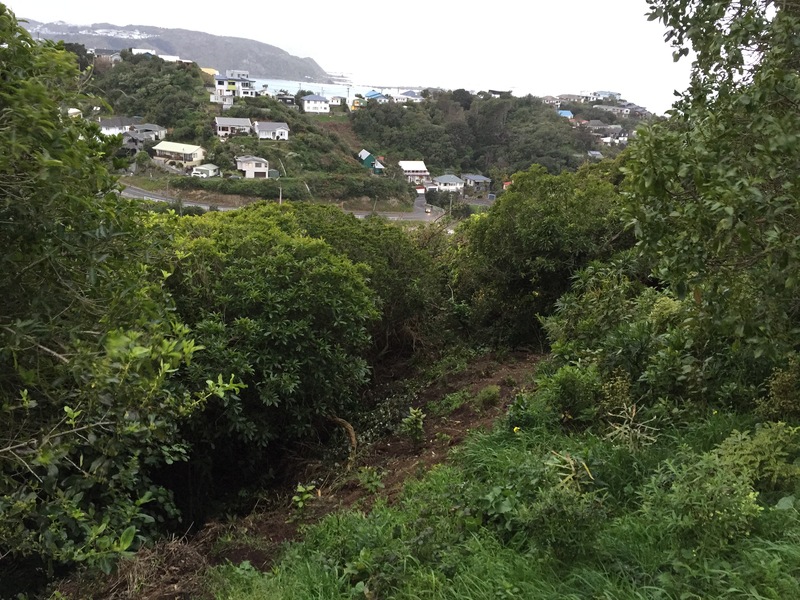 I remember the first Arbor Day planting I was involved in back when I was about 11, those trees are now fully grown and part of what is now the Riverside Drive park in the Hutt Valley at Moonshine. 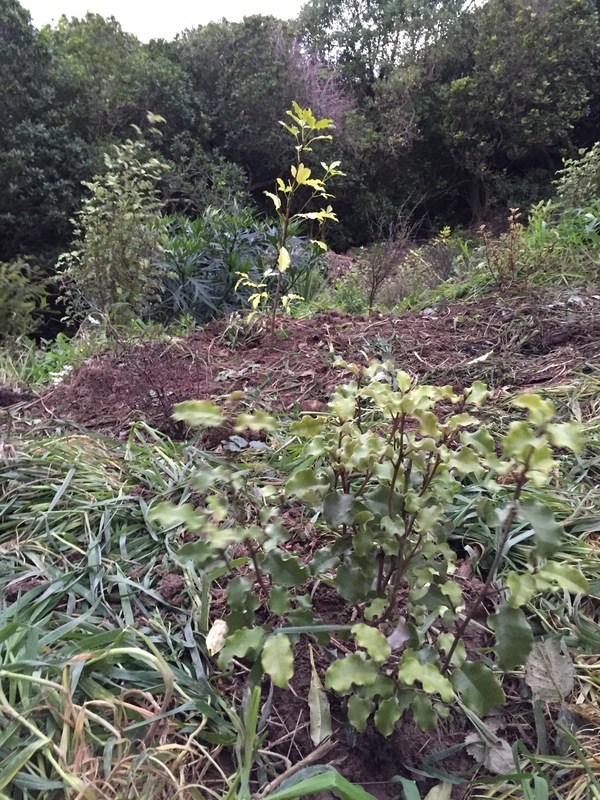 Unfortunately they were eucalyptus not native Totara and others like we’re planting now – but that day has inspired me to plant thousands of trees over my lifetime. I feel good that these kids helping today will look back with pride at the forest in Houghton Valley, knowing it was one small step towards saving the Planet! Gosh – I bet that felt SO good Ian! Well done to you and the gang! Congratulations. What a worthwhile endeavor. Being a Gaia boy I feel this energy coming through. I’m so happy that people are taking an interest in being outdoors with nature which always satisfied me. Be well. Thanks. It’s been amazing to see the community engagement with the park since we’ve been planting and putting walking tracks through it. The kids love it and it gives me great heart. They’re both there! Thanks for you support, and I look forward to your post, it’s always good to see what others are doing. ABSOLUTELY brilliant! What a great achievement. So nice to see the team work and those beautiful trees! Weather-permitting I am visiting a similar initiative this week and will post a blog about it soon. Those scones sure sound good! Orange and Date from the World famous Maranui Surf Club Cafe, they’re more than delicious! And the planting was good too… It’s always a good opportunity to catch up with the neighbours and meet some new ones too!